"PUMA": Don't worry, Nature Canada is not about to sell athletic clothing or wrestle with large cats. PUMA is also an abbreviation (called an alpha code) that scientists often use to talk about a species of bird called the Purple Martin. My name is Megan MacIntosh and I am thrilled to join Nature Canada as the Purple Martin Project Coordinator. There are many mysteries surrounding the life history of the Purple Martin that make it an interesting species to study, and there are many reasons to be excited about this project which I would like to share with you. The Purple Martin is the largest North American swallow. It belongs to a guild of species called aerial insectivores which are specialized at feeding on insects while in flight. Other examples of aerial insectivores include swifts, swallows, fly-catchers, nightjars, and Whip-poor-wills. Aerial insectivores have experienced widespread population declines of up to 70% over the past several decades, and Purple Martins are no exception. Why the startling decline? The exact cause of this unnerving trend remains unclear. Mortality from exposure to pesticides, wind power projects, decrease in food availability, inability to adapt to climate change and corresponding habitat changes have been suggested as possible culprits. To add to the mystery, population declines follow a geographic pattern and are most pronounced in the north-east of North America. A decline of 5 – 7.5% annually has been recorded in the lower Great Lakes/St. Lawrence region leaving the 2013 population estimated below 15,000 individuals. Interestingly, Purple Martins have a strong connection with humans. They are diurnal (daytime) migrants that breed throughout North America and travel to Brazil for the winter. West of the Rocky Mountains they nest predominately in natural cavities, however, in eastern North America they are entirely dependent on apartment-like nest houses provided by their human ‘land lords’. For a long time, little has been known about the timing and movements of migratory songbirds since their small bodies could not accommodate most tracking devices. As technology improves and tracking devices are made increasingly smaller, researchers are finally able to collect critical knowledge on these birds as they travel continental distances – information which will be crucial to their conservation. The goal of the Eastern Ontario Purple Martin Project is to address knowledge gaps in the species life-cycle by determining their local, regional, and international movements, roost site locations, and post-breeding behaviour. The project aims to significantly contribute to the conservation of Purple Martins in anticipation of aiding the overall plight of aerial insectivores and related environmental issues. If you’re interested in becoming involved, please feel free to stop by Nature Canada’s upcoming Bird Day Festival event on May 31st from 10am- 4pm at Andrew Haydon Park in Ottawa where I will be set up with a booth. You can also look towards upcoming volunteer opportunities such as banding and helping us locate local roost sites. We just recently received word that one of the most important sites for critical biodiversity in the Western Hemisphere has just been protected! Ladies and gentlemen, this is what a success looks like! The Bay of Panama, a globally Important Bird and Biodiversity Area, is home to a large number of bird and other species that use the area for both habitat and migration. Last year the Panamanian government took away this critical site’s status as a protected area, throwing a massively important natural habitat into crisis and opening it up to the risk of major environmental destruction. Nature Canada is honoured to have played a small role in the campaign to bring legal protection back to Panama Bay. The Panama Audubon Society (Sociedad Audubon de Panamá) reached out to us and asked for our help. Nature Canada responded with a donation from two of our members to support their efforts to campaign to re-instate the protected areas status of the Bay. In late 2013, Nature Canada provided $10,000 for bird conservation in Panama Bay on behalf of long-time Nature Canada members Len and Anne Murray. The prospect of winning this campaign looked dim for a while. But Panama Audubon persevered and, with this funding support, were able to engage in an extremely high profile campaign that galvanized public support and won the day with a decision from Panama’s highest court to re-instate the Bay’s protected areas status! Panama Bay is perhaps the most important link in a chain of sites upon which depend millions of migratory shorebirds (this chain of sites includes the Boundary Bay and Tofino IBAs in Canada). Destruction of any one of these links — especially Panama Bay — would have had the potential of destabilizing entire populations of shorebirds throughout the entire hemisphere. Thankfully, nature won this round today. Good job, team! 2 trips to Prince George, B.C. 3 trips to Prince Rupert, B.C. 1 trip to Terrace, B.C. Well over 1,000 hours of senior lawyer time, 2,000 hours of student time as well as thousands of dollars in travel costs and other disbursements were provided pro bono by the UVic Environmental Law Centre and its funders during this process. In a recent conversation, we asked Chris Tollefson, Executive Director of the Environmental Law Centre, to reflect on some of the ground-breaking moments in our involvement in the hearings. Nature Canada: Enbridge has been arguing that the project poses little threat to BC’s wilderness, even as they attempt to explain spills like the one in Michigan’s Kalamazoo River. The evidence we submitted to the panel suggests otherwise. What did you argue? Chris Tollefson: From the beginning we have argued that Enbridge has underestimated the project’s risks. First we focused on the endangered woodland caribou. Enbridge misjudges the threat of increased mortality from predators, and the impact that fragmentation of habitat will have on the caribou’s ability to feed and breed. 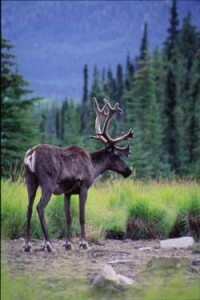 Nature Canada: What was so flawed about Enbridge’s science on the woodland caribou? Chris Tollefson: Their assessments are far too rosy. For example: • Enbridge relied on just a single source – an unpublished, non-peer-reviewed slide show on Yukon Caribou – to derive the 'linear feature density' number that they say justifies the project. The problem is that the number is unsupportable, and the source they rely on never actually approved of the number in the first place. Mark Hume of the Globe says that this error, uncovered in our cross-examination, "might just be enough to sink the project". • Enbridge used data that looked at the availability of caribou winter habitat without considering summer habitat availability. A robust analysis would have looked at both. • We fought – successfully – to have new caribou research entered into evidence that raised urgent questions about the fate of caribou, wolves and the Gateway Pipeline. Nature Canada: And what about Enbridge’s claims about the potential impact of oil spills? 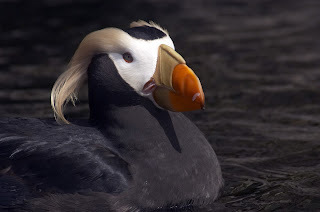 Chris Tollefson: First of all, the company avoids looking at worst-case scenarios, such as a spill within the globally significant Scott Islands Important Bird Area. To truly understand the total risk involved of a project that would bring giant tankers into these pristine waters at the rate of one every other day, we argued that the consequences are too high to do anything but prepare for the worst. Secondly, Enbridge has downplayed the consequences of an oil spill by arguing the "scientific literature is clear” that species inevitably recover. We forced them to concede, however, that none of the studies they cite involved marine mammals, and only one study of marine birds they cite showed post-spill ‘recovery’. Enbridge also failed to consider the potential impact of oil spills on open ocean wanderers such as albatrosses and shearwaters. We would like to thank BC Nature and the Environmental Law Centre for their hard work, ingenuity and perseverance during the hearings. Recommendations from the Panel to the federal government are expected later this year. For a summary of our participation in the Northern Gateway Pipeline hearings, read our previous posts on the topic here. Here in the National Capital Region, we’re lucky to have an Important Bird Area right in the heart of the city. 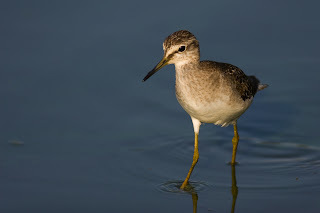 Just minutes from the downtown core and accessible by public transportation, the Lac Deschênes Important Bird Area (IBA) is a piece of natural habitat that is cherished by Ottawans and residents of Gatineau and is an important area for the region’s birds and other species. Why is it so important? The Lac Deschênes – Ottawa River Important Bird Area is one of the most important places for migrating and breeding birds in Ottawa-Gatineau. 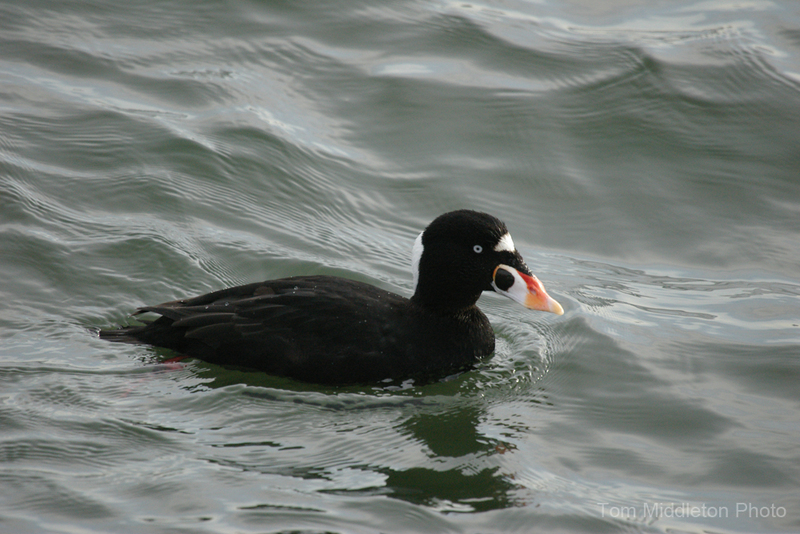 Thousands of waterfowl and waterbirds congregate here each spring and fall as they migrate between breeding grounds in northern Quebec and Ontario to areas farther south. Tens of thousands of songbirds also use the river and its forested borders for food and shelter. It’s like a wildlife super highway. Over 300 bird species have been observed in the IBA, making it one of the region’s premier birding locales. Ring-billed Gulls, Double-crested Cormorants, Great Egrets and Black-crowned Night Herons breed on some mid-channel islands. The Britannia Conservation Area comes alive in spring with up to 100 species of songbirds returning from southern wintering grounds. Impressive numbers of birds, mammals, reptiles, amphibians, fish, plants and insects are found at the IBA. 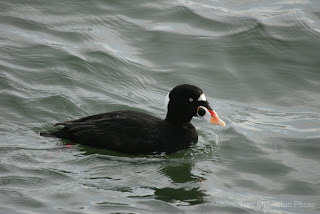 Some are regionally or nationally at-risk, including Harlequin Duck, Barrow’s Goldeneye, Peregrine Falcon, Common Nighthawk, Barn Swallow, Red-headed Woodpecker and Wood Thrush. If you live in the Ottawa-Gatineau region, why not come out this weekend and help us clean-up the IBA while getting to know the local wildlife? For upcoming events at our IBA, check out Lac Deschênes website. Nature Canada is a partner, with Bird Studies Canada, in delivering the Important Bird Areas Program in Canada. Canada’s IBA Program plays a critical role in national bird conservation efforts. Major support for the program comes from TransCanada Corporation, Wildlife Habitat Canada, and the Government of Canada. To learn more about the program and to find out if you live near an IBA, visit the IBA website. 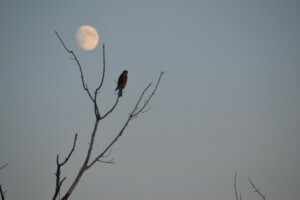 [two_third] In celebration of Earth Day and to welcome back the migrating birds we headed out to the globally significant Lac Deschênes – Ottawa River Important Bird Area this weekend for a day of spring cleaning. Spring migration is gearing up and a great group of enthusiastic volunteers meet up with Nature Canada staff at two locations along the urban stretch of the Ottawa River to collect garbage. Garbage is not only an eye sore for people who want to enjoy the outdoors, it can also be incredibly dangerous for birds and other wildlife. The majority of the garbage we collected consisted of small things such as bottle caps, cigarette butts and small pieces of plastic. Take out coffee cups and empty water bottles were also abundant. In addition we had a couple of pretty interesting finds such as a pair of roller skates, part of the hull of a boat, kitchen equipment and a lamp shade. Of course we also took some time to watch the birds in the area and saw quite a few species. It feels like new species are spotted almost every day now as migrating birds take advantage of the warming weather and the insects that are hatching out of the river. At Britannia Bay the species we saw and heard were the Ring-billed Gull, Canada Goose, European Starling, American Crow, Blue Jay, Mallard, House Sparrow, Black-capped Chickadee, White-breasted Nuthatch, Red-breasted Nuthatch, Ruby-crowned Kinglet and Common Grackle. At Bate Island the species we saw and heard were the Canada Goose, Mallards, Common Golden-eye, Ring-billed Gull, Red-winged Blackbird, Black-capped Chickadee, Lesser Scaup, Tree Swallow, Barn Swallow, House Sparrow and European Starling. Bird Banding Demonstration – 7am to 11am . Join Nature Canada’s own certified bird bander, Ted Cheskey for a bird banding demonstration at Rue Houle in Alymer. Observe bird banding and learn about how researchers use this technique to study birds around the world. Bird Fair at Andrew Hayden Park – from 11am to 4pm. Ottawa’s first ever Bird Fair will be happening on Sunday May 12, 2013 from 11am to 4pm at Andrew Hayden Park, and we want you to share in the celebration! At the Bird Fair we will have lots to do for the entire family including bilingual bird walks, crafts and activities for visitors of all ages, and informative talks, music and other entertainment. Local vendors will be present and we will have something special for Mother’s! The report, The State of Canada’s Birds 2012, draws on 40 years of data and summarizes the status of Canada’s bird populations for eight regions, including the boreal forest, prairies, Arctic and oceans. It’s the result of a collaborative effort between the National Bird Conservation Initiative in Canada (NABCI-Canada), and it highlights numerous changes to bird populations in Canada since the 1970s.The report found that grassland birds including Longspurs, Meadowlarks, Sprague’s pipit, Greater Sage-grouse and others, have declined by 50% due largely to a loss of habitat. 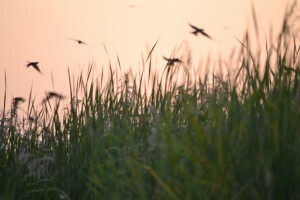 Grassland bird populations are dwindling as high-intensity farming practices like wetland drainage, conversion of pastureland to cropland and over-grazing remove and degrade grassland and wetland habitat that supports grassland bird populations in the Canadian prairies and Lower Great Lakes – St. Lawrence regions. In addition to those factors, increasing water use by cities, construction of roads and buildings that fragment habitat, and fire suppression near towns and cities compound the problem of disappearing grassland and wetland habitat. Climate change is also an emerging threat. The predicted increase in droughts for the prairies will have severe consequences for birds and humans. However, there are significant conservation opportunities for Canadians to ensure healthy bird populations and healthy ecosystems. It might come as a surprise to some that maintaining healthy populations of birds in the Canadian prairies can be compatible with agricultural practices that form the basis of the region’s economy and culture. But according to the State of Canada’s Birds report, there are conservation opportunities – as well as challenges – present in the relationship between ranchers and naturalists. 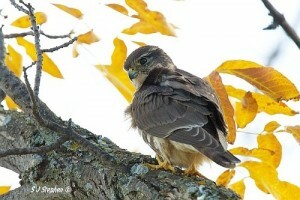 In the prairies, there is a need to expand farming practices that are compatible with birds. Many grassland birds – from Meadowlarks to Loggerhead Shrikes – benefit from appropriate livestock grazing to maintain their preferred habitat. An example of well-managed native grassland habitat can be found in the “community pastures” or PFRA (Prairie Farm Rehabilitation Administration) pastures in the prairie provinces. These pastures are vital to the survival of 31 species at risk, including some of Canada’s most endangered birds. 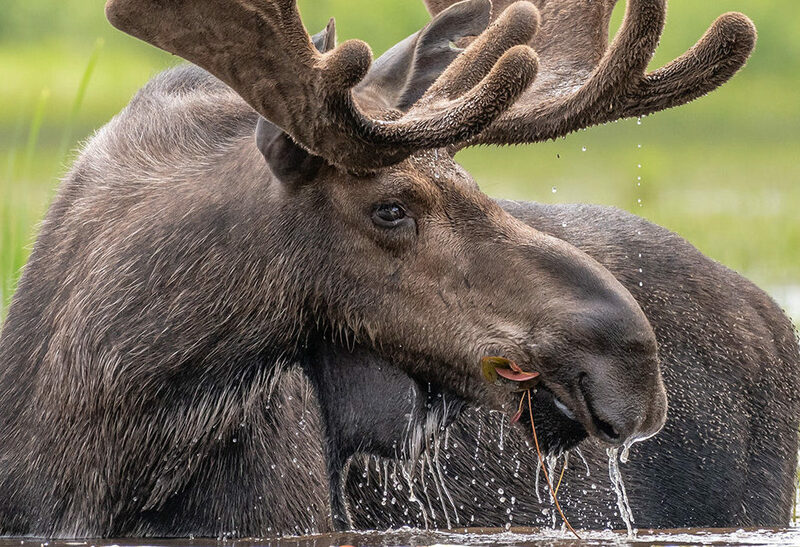 But with the recent passing of Bill C-38, this critical habitat will no longer be managed by the federal government but instead be handed over to the provinces, which will likely sell the land to the highest bidder. As a result, grassland birds and other wildlife that depend on a healthy network of PFRAs face losing the protection and maintenance formerly provided by the federal government. This is an issue that conservationists will need to watch closely as the hand-over gets underway. It has been shown that consumer choices can make a positive impact on forest birds through their choice in coffee. Shade grown coffee conserves bird habitat while sun grown coffee does not. In a similar way, some South American countries can support grassland bird habitat conservation by purchasing ‘bird certified’ beef from ranches that employ bird-friendly practices. While bird-friendly practices are one part of the solution, the report also highlights the need for urban development to progress in a direction that conserves as much grassland habitat as possible and avoids key areas for birds. The greatest threat for migratory grassland bird species like Swainson’s Hawk is loss of habitat both inside and outside Canada. Swainson’s Hawk over-winters in the pampas and cerrado of the Southern Cone of South America, which faces ongoing habitat loss – grasslands are increasingly being converted to agriculture, plantations or urban settlements. Effective conservation of grassland migratory bird species that Canada shares with countries throughout the Americas, requires international cooperation that ensures the needs of these birds are addressed at all phases of their life cycles.